Legislators in 37 states have introduced 185 bills aimed at boosting transportation investment in the first two months of 2019, a new analysis finds. This number is higher than the amount of legislation the American Road & Transportation Builders Association's Transportation Investment Advocacy Center (ARTBA-TIAC) tracked over the same time period last year and is projected to grow as additional measures are introduced throughout the year. Of those 21 states, 10 included altering or creating a variable-rate tax that fluctuates based on external factors such as the Consumer Price Index, average wholesale price of motor fuel or other formulas. Several states also are considering innovative funding solutions. Mileage based user fee studies or pilot programs are being considered in eight states. Four states have introduced legislation to implement tolling. Of the legislation introduced in January or February, 19 measures have advanced beyond one legislative chamber, with one bill — an electric vehicle registration fee increase in Wyoming — signed into law. Another bill in Arkansas to convert the state's flat excise tax to a variable-rate formula based on the average wholesale price of fuel, implement new electric and hybrid motor vehicle registration fees, and utilize at least $35 million in casino revenues for transportation funding has been sent to the governor and is expected to receive final approval in March. One hundred sixty-six bills have been introduced and are awaiting further action. Several states have not yet convened for their legislative session, and at least one state — Alabama — is expected to file a significant transportation investment bill. ARTBA-TIAC tracks ongoing state transportation funding legislation across the United States and provides regular updates through its blog at www.transportationinvestment.org. 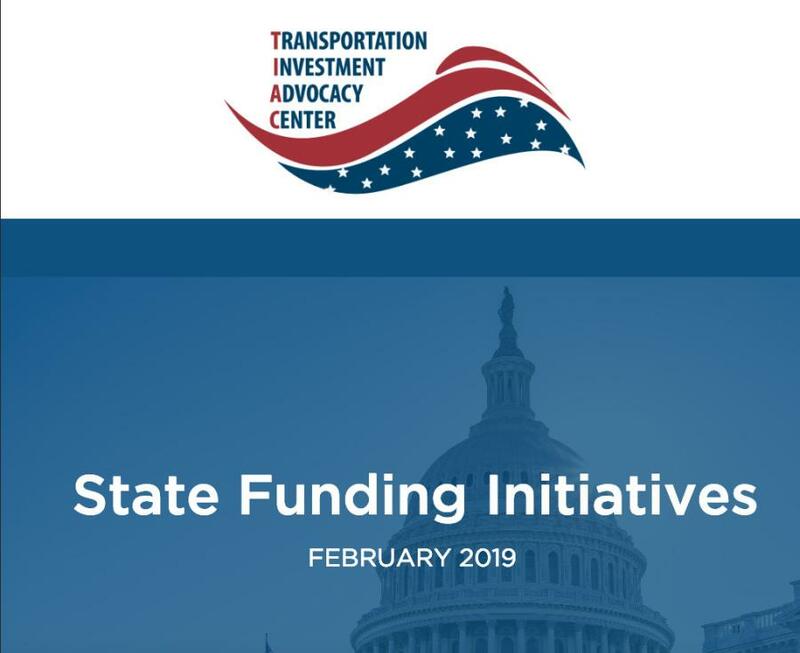 TIAC staff also produces regular research reports and analysis, hosts an annual workshop in Washington, D.C., and holds ongoing webinars for transportation investment advocates featuring case studies, best practices and the latest in political and media strategies.